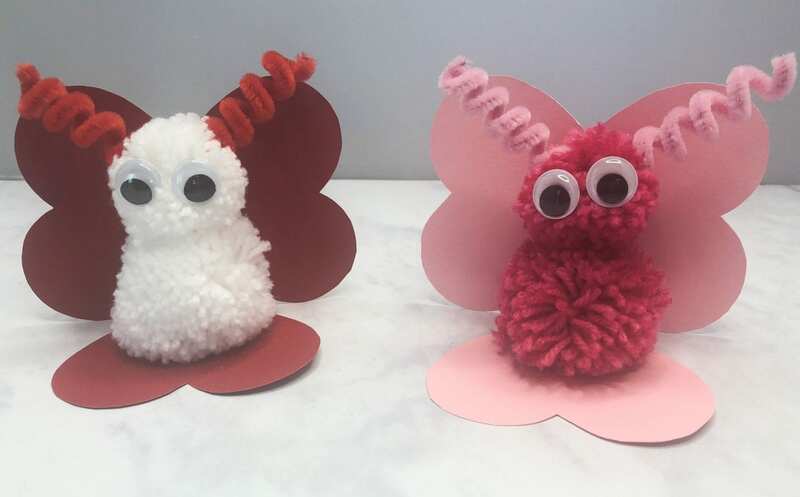 We are really enjoying making pom poms at the moment, and with Valentine’s Day just around the corner, this Pom Pom Love Bug craft is ideal to do with the kids. I remember making pom poms as a child myself, but we relied on two circles of card. Nowadays though, pom pom makers are easy to come by and inexpensive, making pom pom creation a doodle. Easy enough for even my 5 year old to have a go (although he get’s bored half way through!). 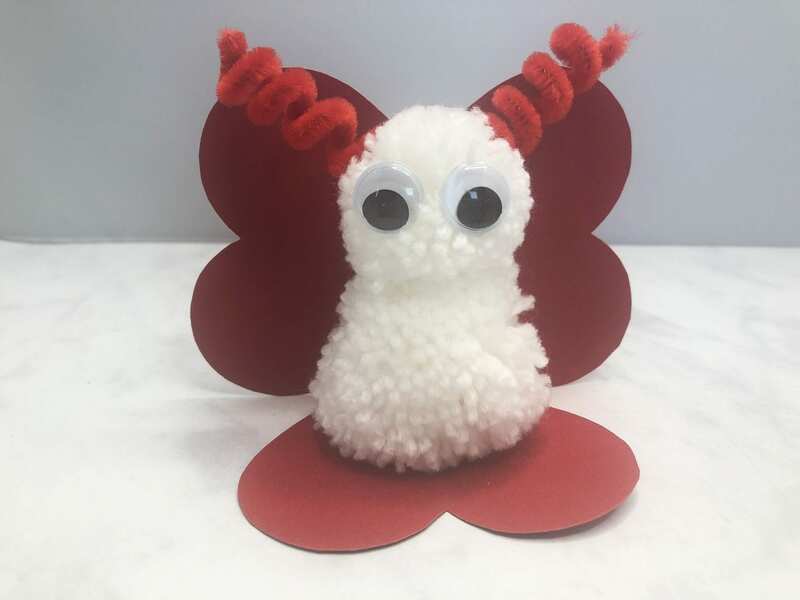 This super cute Pom Pom Love Bug craft is a great craft to do with the kids, and introduces them to the art of pom pom making. My advice is make one yourself to demonstrate to them what they can achieve, it helps them to keep focused on the activity. 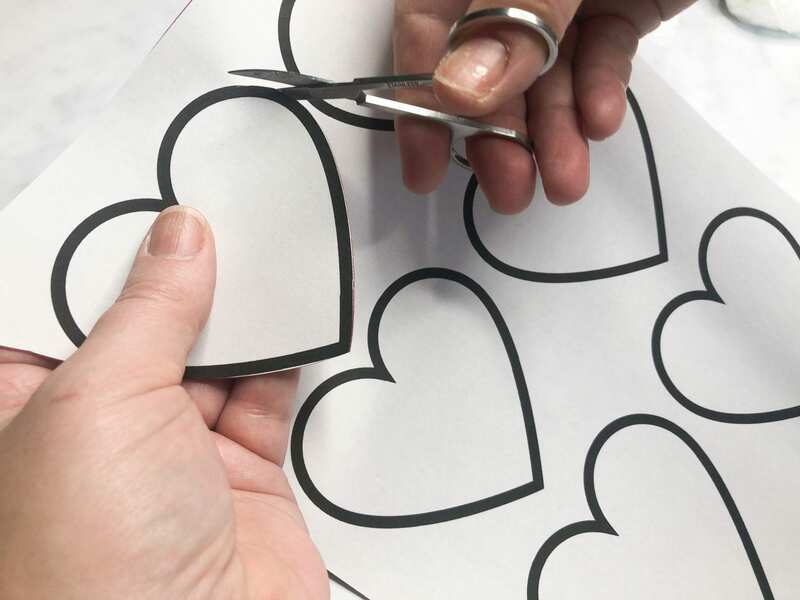 You can even download my heart template to cut out your card hearts to make the process super simple. Just click the button towards the end of the post. 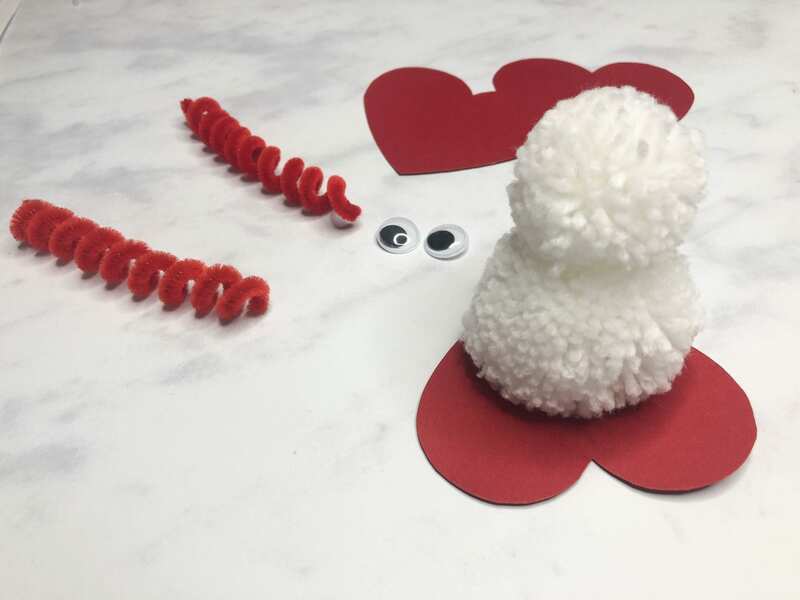 So if you would like to see how we created our Pom Pom Love Bug then read on or pin it for later! 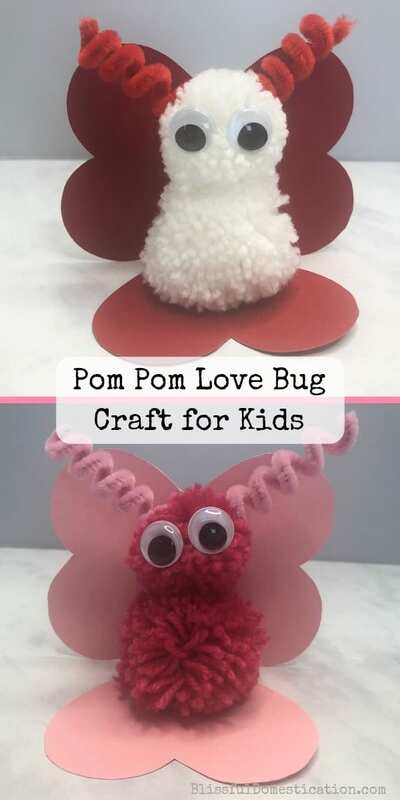 Pin ‘Pom Pom Love Bug Craft’ for later! 1.First you need to make your pom poms. We used two different sizes. 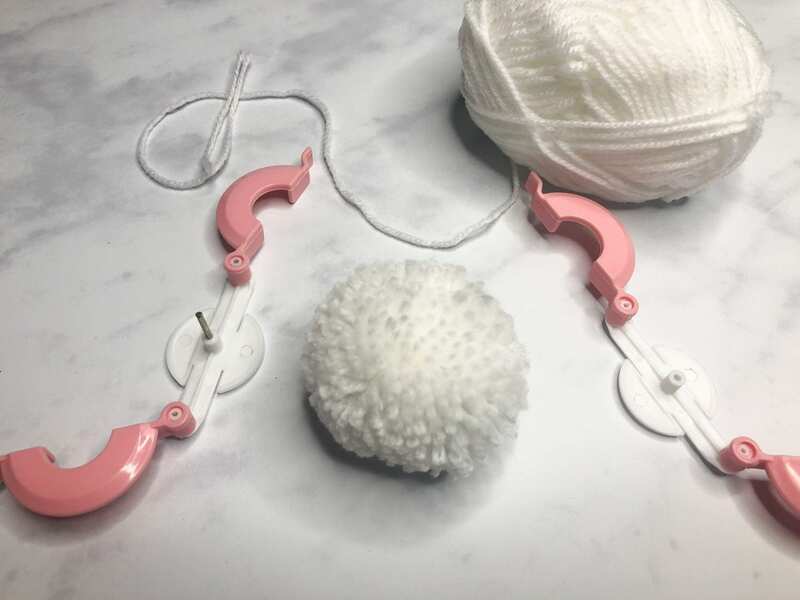 Most pom pom makers have full instructions, but if you need a bit more help then check out our video towards the end of the post. 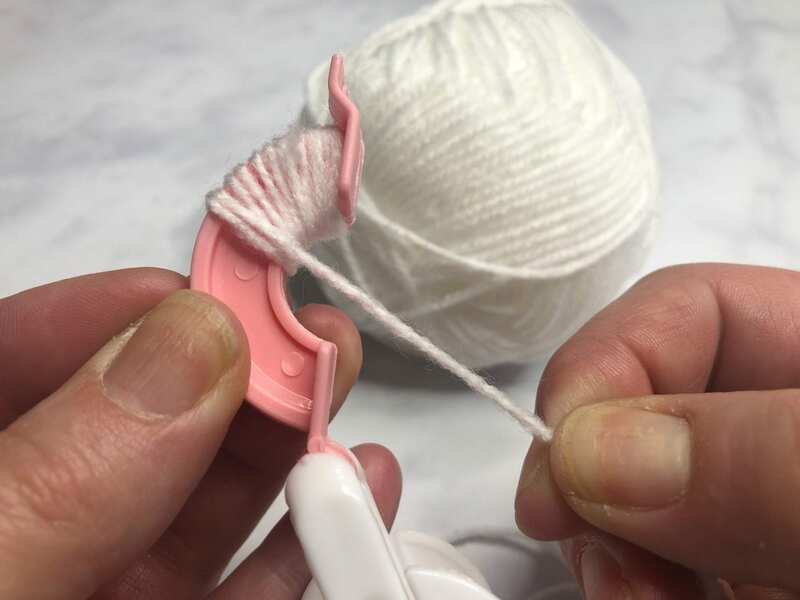 Whatever pom pom maker you use, you start by winding wool around the device in your chosen colour. 2. When you have completely filled the pom pom maker, it’s time to cut. This part is really for adults only. 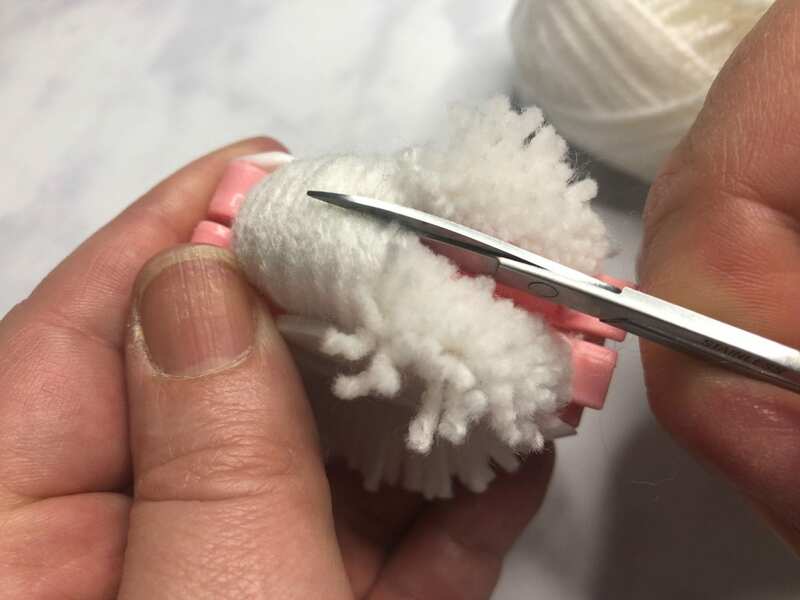 Use a sharp pair of scissors to cut all the yarn, before securing your pom pom by tieing a length of yarn around the middle. Again if you need some help check out the video towards the end of this post. 3. Once you have your two Pom Poms, it is time to cut your hearts out of card stock. You need 3 hearts for each Pom Pom Love Bug. You can use our template, or cut them out freehand. 4. Next wind a pipe cleaner around a pencil to make the curly antennae. You can then cut them to the desired length. I used half a pipe cleaner for each of our Love Bug’s antennae. 6. 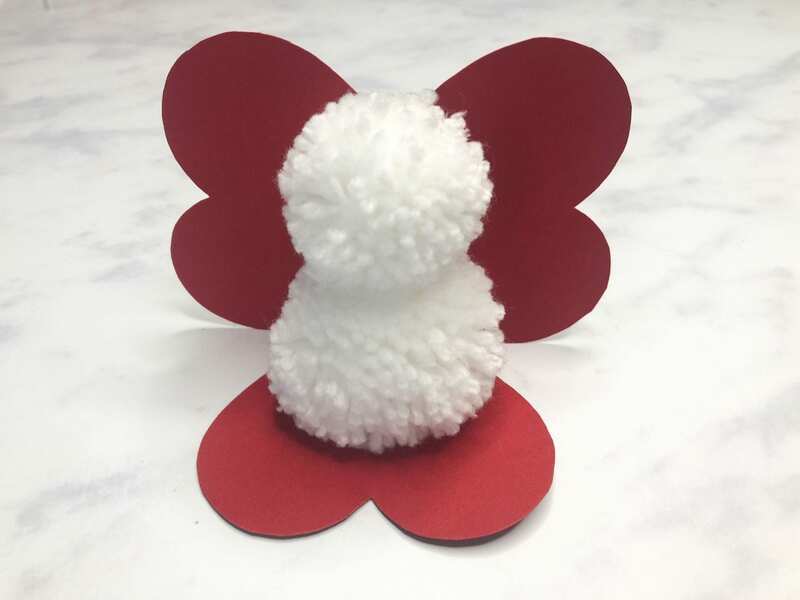 Now you’re ready to assemble your little pom pom love bug. 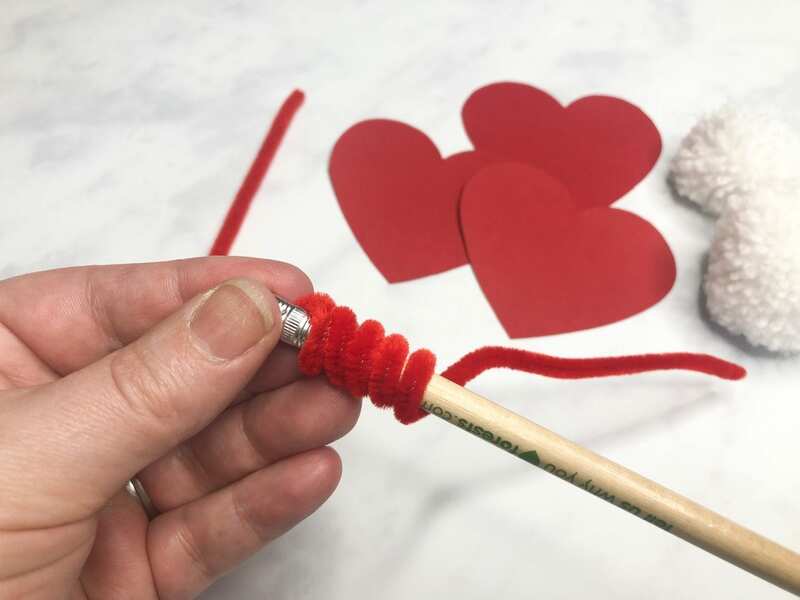 Simply using a hot glue gun, glue the large pom pom onto one of the card hearts, and then the smaller pom pom on top. 7. Then glue the other two card hearts together and then attach them to the back of the pom poms to make the wings. All that’s left to do is glue on the antennae and a pair of googley eyes. And that’s it! 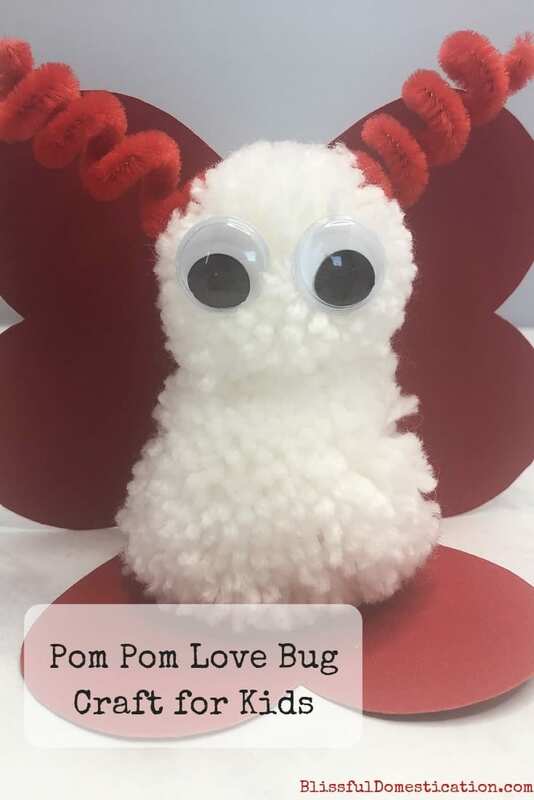 What do you think of our little pom pom love bug? 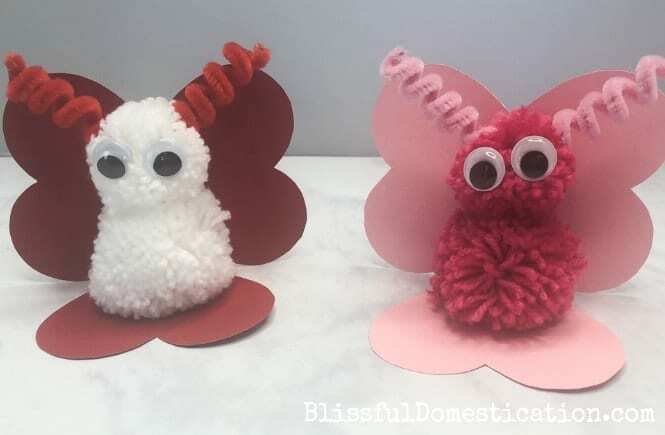 If you’d like to see how easy they are to make then check out our little video, and if you like it don’t forget to subscribe to our YouTube channel. 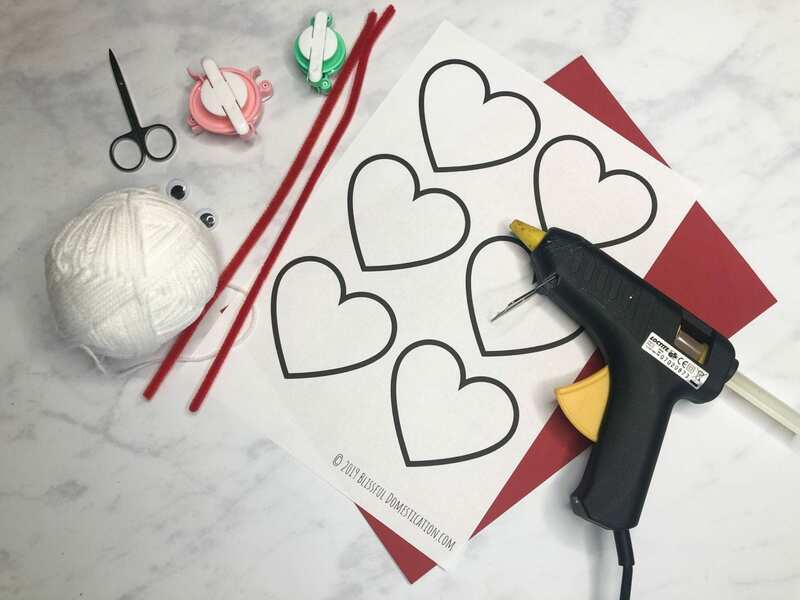 If you need more inspiration for Valentine’s Day crafts then check out and follow our Pinterest board. So what do you think of our little pom pom love bug? What have you created from pom poms? I’d love to hear your thoughts in the comments. Oh my gosh this is a flash from the past, pom pom making used to be my everything bk when I was at primary school, definitely got to give these a go!